For over 65 years, Porsche has been integrating racecar technology straight from the track to enthusiast’s driveways. The result? One performance-packed model lineup–and we’re not just talking about the well-known two-door models. The German Manufacturer’s luxury sedan model, the Panamera, is one impressive four-door vehicle (up to 550 hp!) and with the 2017 full design update, it’s as sleek as ever. The technology equipped in the new Panamera allows you to stay connected whenever you are on the go. Make calls, check live traffic reports, access apps and listen to your favorite music–all available via the Porsche Communication Management System. 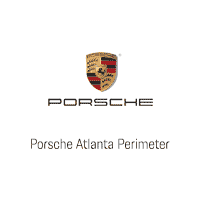 For more detailed information on the Panamera models contact Atlanta Perimeter Porsche representative.